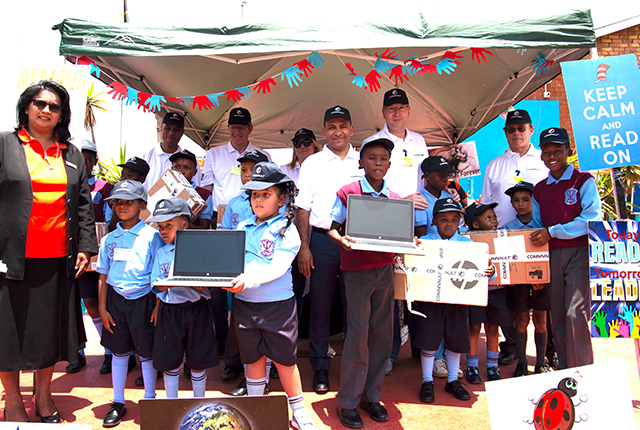 Commvault, a recognised global leader in backup, recovery, the cloud and data management across any hybrid environment, donated laptops to Actonville Primary School in Benoni, Gauteng. This contribution will impact over 1,300 learners from disadvantaged backgrounds and assist the institution in achieving its mission to create a well-resourced school on a limited departmental budget. The school is also faced with academic barriers such as infrastructural damages and negative impacts of the surrounding communities. This has impaired Actonville’s ability in achieving its vision – to provide quality teaching and learning by maximising learner’s potential to function in a multicultural society. Commvault believes it is every single companies’ responsibility to support key initiatives such as these in order to assist with upliftment of education and communities to create a better life for South Africans in need – especially children.